The speed of feeding would be improved according to right feeding sequence. It has two feeding ways based on different raw materials. And the ways are primary mixing and two-step mixing. 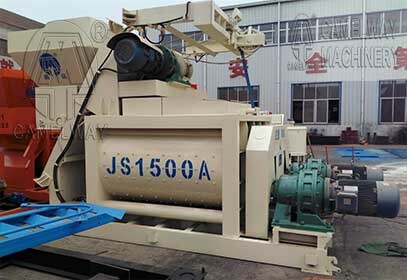 Primary mixing: Is a one-time feeding. Take all the raw materials, cement, water, gravel, minerals and other inputs into the mixer for mixing. And the right sequence is gravel-cement-gravel-water. Two-step mixing: there are two ways to feed materials. And two-step mixing can improve the strength of concrete and save water. One way is first mixing cement, fine aggregate and water, then mixing them and aggregate. The other is first mixing water, gravel and wet sand then mixing others, finally, adding additive into them. The quality of concrete is high than others. If you have any questions or suggestions, please contact us, and we will give you the best answer and service. Giving us a opportunity is giving you a opportunity. What are requirements to a concrete batching plant site selection?